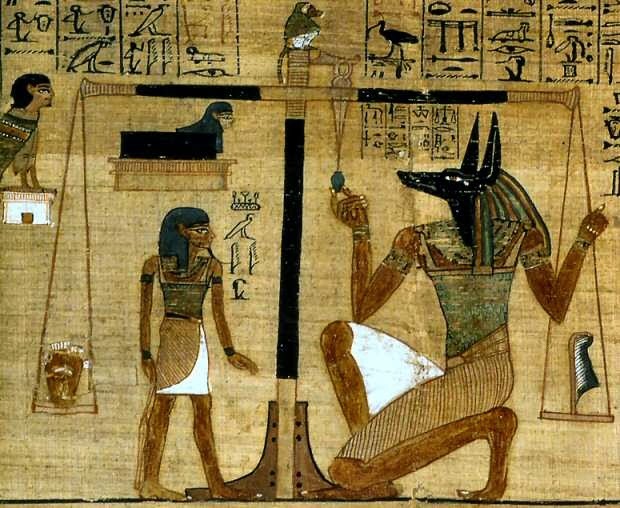 Anubis weighs the soul of the deceased (left) against a feather representing the law (right). A few weeks ago one of the blogs I read posed the question: If your god didn't care about right and wrong, would you still be good? The author went on to discuss some research that he thought addressed this question, though here I am more interested in the question itself. As Buddhists we might say that the question does not concern us because we don't believe in gods anyway. But for the purposes of this essay I'm going to treat karma as a god, a supernatural entity that does not have any human or anthropomorphic form, but which carries out precisely the same function as any god concerned with human morality. Where Do Moral Gods Come From? Briefly my theory of morality begins with hunter-gatherers living in Africa ca. 100,000 years ago. They lived in small, close knit bands that most likely rarely got above 150 members, or when they did, split into two or more new groups. The number 150, along with other numbers that emerge from studying natural group sizes for different types of human association, arose from Robin Dunbar's work on how neocortex size is correlated to group size in various animals (See Bibliography). 150 is the average number of close relationships that an average anatomically modern human being can keep track of. Groups both smaller and larger can and do form with varying degrees of intimacy. For example much larger groupings are possible when members are only called on simply to recognise the others. I suggest that below the "Dunbar Number" a group is easily able to keep track of each member and their behaviour. In particular small groups, living closely together have accurate knowledge of who is obeying groups norms and who is not. Above the Dunbar Number and group members begin to lose track of who is doing what, even though they probably still know who everyone is and a great deal about them. Thomas Metzinger has argued, on the basis of his own out of body experiences, that it is entirely natural for humans to have a dualistic point of view on body and mind. Indeed he says that having had an out-of-body experience it's almost impossible not to become an "ontological dualist": that is to believe that consciousness is entirely separable from the body. Though to be clear Metzinger himself does not believe that consciousness leaves the body during the experience, but suggests that signals which convey information that contribute to the sense of self lose integration. The result being that we experience our visual point of view shifting away from our felt sense of embodiment. Experiments have shown that it is relatively simple to shift the point of view away from the body by confusing the senses in, for example, virtual reality environments. Out-of-body and similar 'mystical' experiences are fairly common and, in a pre-scientific world must have contributed to a worldview in which matter and spirit are seen as two different substances or realms (See also Metaphors and Materialism). Thus for most people, even many who don't believe in God, the idea of spirits and a spiritual realm seem quite natural. Most hunter-gatherer societies seem to practice some form of animism. That is to say they see the world around them as a alive with non-corporeal life and/or they attribute sentience and intelligence to non-human living beings of both the animal and plant kingdom. One of the reasons for this may be the so-called Hyperactive Agency Detector that we all possess (see Barrett 2004). This function allows us to interpret agency, but it is tuned in such a way as to allow us to see agency where there is none. In the weather for example, or in the sun and moon. We also have a propensity to see patterns - this is a strong point for all mammals but is well developed in humans and some others. The most common patterns we see are faces, a phenomenon known as Pareidolia. Perception and interpretation of facial expressions is one of the most important skills we develop. The lack of this ability, as with some people who have Autism, can make social interaction very difficult. For a view on how Pareidolia might have affected the development of religion, see Guthrie (1995). Michael Witzel's (2012) work on comparative mythology shows that myths involving gods in human form, and a general view of the universe as alive and populated with sentience, or even the universe itself as sentient, were in place when the ancestors of all modern humans moved out of East Africa 65,000 years ago. So within the "group" we have to allow for a number of relationships with ancestors, gods, and other disembodied beings. I'm not sure what to call these relationships: super-social? At some, as yet unknown, size threshold groups of humans begin to experience anxiety about the group norms. If there are too many breaches of the group norms, or too many people are not following them, then either the norms need to shift or the people need to be brought into line. Group norms have a strong survival value for hunter gather groups. They help the group to sustain its identity, ensure ease of communication, and effective collective actions. So when group norms are undermined there is reason to be anxious. However since group membership extends to the supernatural realm it might well seem obvious for group members to call on the non-corporeal members of their group, who are not bound to the world of matter or it's constraints, to keep and eye out for infractions and even to take corrective action. In Witzel's theory even our oldest Pan-Gaean myths show influence from the shaman. The job of the shaman is to act as interpreter or translator between the two realms of matter and spirit. The shaman can cross the boundaries of the two realms and return with knowledge and messages. Similarly some spirits can have an effect in the world of matter. However neither is at home in the world of the other and the shaman is at peril in his or her journeys. The spirit cannot stay in the realm of matter, but can only visit for short periods. Similarly they can only weakly interact with matter (and not at all if a scientist happens to be observing). It may come about that over time one particular spirit comes to be acknowledged as superior in their ability to observe and keep group members within acceptable norms. Perhaps they are then formally invested with this role and become an overseer god. With the rise of monotheism all the various functions of gods, including this one, were aggregated into a single cosmic father-figure who is at once creator, law maker, overseer and judge. One of the main problems with this worldview is one that we still have today. People who are wicked (i.e. do not obey group norms) often seem to avoid any negative consequence. And similarly people who are good (i.e. 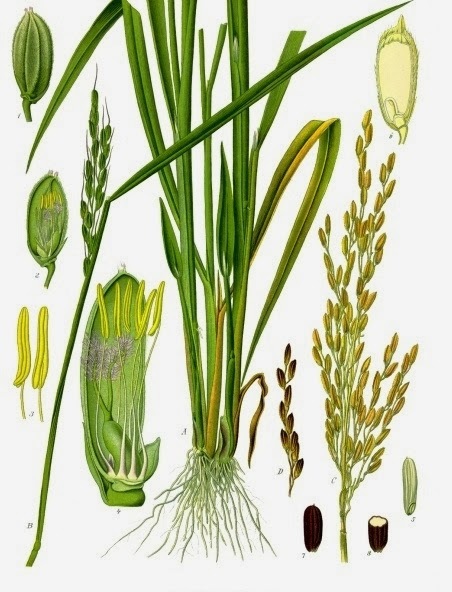 obey group norms) often meet with considerable suffering and misfortune. This is patently unfair. And one solution to it is the story of judgement in the afterlife. It's not known exactly when we started believing in an afterlife, but archaeologists begin to find grave goods intended for use in the afterlife around 45,000-40,000 years ago. This around the same time that cave art begins and modern humans began to move into Europe and the Chinese interior. Witzel proposes that the myths that characterise what he calls Laurasia began to be composed at this time also. Sadly Michael Witzel's book on myth does not really deal with the afterlife. But we can take Egyptian Anubis, who has the head of a jackal, as a representative of the afterlife judge. Anubis, like most judges, is impartial. He weighs the soul of the dead against the law and if it is lighter they go on to join Osiris in heaven, and if heavier they are devoured by a monster from a dark netherworld. Thus even if the wicked are seen to get away with murder in this life, the group can be confident that their norms will be upheld in the final analysis. All debts are paid. The universe has a moral order. This view of morality as accounting is one that George Lakoff has used to help describe the values of the political spectrum (See also: Moral Metaphors), but it adds to the overall picture of why an afterlife judgement might seem necessary. The afterlife gods, such as Anubis, care about good and evil because we care about them. The gods of any particular society care about group norms in precisely the same way that that society cares about them. And they are a final arbiter of good and evil - impartial and impersonal. Underlying this quest for fairness seems to be the idea of the ordered universe - cosmos rather than chaos. Although humans often crave novelty, novelty is only good when seen against a backdrop of stability and sameness. The values of groups are conservative. The ideal for us would be an generally ordered universe into which a small amount of novelty regularly found it's way. The question of whether the universe is ordered or not ordered continues to unsettle us today. It is a question at the heart of all the physical sciences. Unfortunately just when we think we've got everything sorted out and have decided that the universe is ordered in a particular way some novel information pops up to disrupt that sense of order. As yet we are still undecided on just what the nature of the universe is. We see regularities at many different levels that can be used to predict behaviour, but generally speaking these only work on one level. On the human level Newtonian mechanics adequately describes how bodies move. But the description breaks down at different levels: very much larger (since it doesn't take into account dark energy) or on very small scales (since it can't be reconciled with how very small bodies behave). But for our ancient ancestors there seems to have been no doubt that the universe was ordered and that "moral accounting" works and is effective. There are some behaviours that are more or less universally frowned on amongst humans. Killing a member of one's own group is one example. But on the whole good and evil are locally defined. Killing members of other groups is almost always fine, though how we define our group has gradually been extended. As a society we include a very wide range of people under the umbrella of our laws, though most of the actual individuals are still pretty parochial. One of the major social issues for the UK is immigration from non-English speaking, and particularly non-Christian countries. Many ordinary English people struggle to see immigrants as part of their group. The term "integration" comes up again and again in public discourse. Some political parties make considerable political capital from exploiting this issue. For most of the time our concerns are with the minutiae and trivia of daily life. Extreme breaches of the rules are shocking. More so in worldviews which announce that their rules are absolute and universal. A complete repudiation of the rules is sometimes referred to as "pure evil", though clearly in this view there can be no such thing as pure or impure evil. 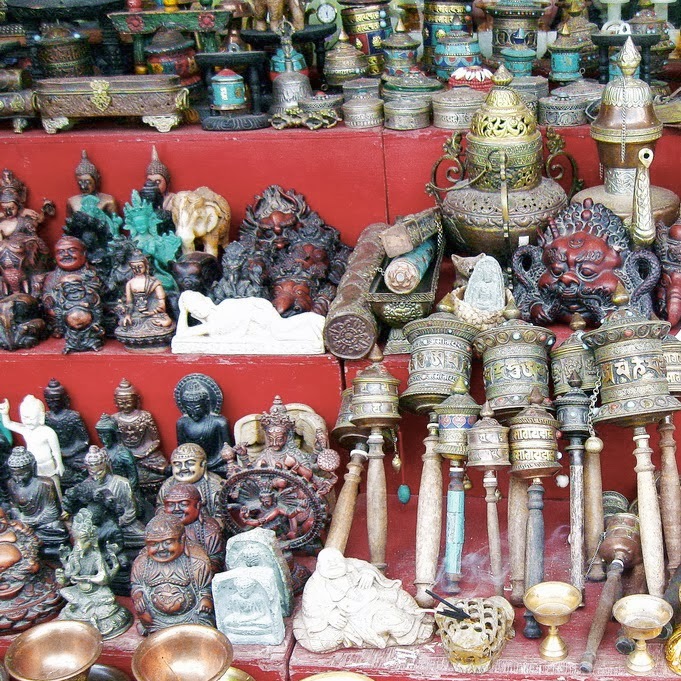 For Buddhists the norms of good and evil are well defined in terms of both motivation and consequence. Where the motivation is attraction and grasping, or aversion and pushing away, the consequence will be evil. Where a consequence is unexpectedly evil we either look for an unconscious motivation, or an evil action in a past life (and here again we strike the problem of eternalism). The ideal Buddhist doesn't react with attraction or repulsion towards sensations. Thus they do not create any new karma, though sometimes even the awakened must still suffer the consequences of actions already performed, as we see in the case of Aṅgulimāla. Karma as a moral god has undergone some changes over time. I'm attempting to get this aspect of my theory published at present and waiting to hear back from the journal editors. Karma starts off as an impartial force that ties consequences to be experienced with actions performed. Initially the consequences of actions could absolutely not be avoided, though they might be mitigated. Gradually Buddhists "discovered" that certain practices could help them sidestep karma, for example: confession (vidūṣanā); opposition (pratipakṣa); restoration (patyāpatti); and seeking refuge (āśraya) (Caturdharmaka Sūtra via the Śikṣāsamuccaya p.160). This ability to avoid the consequences of actions fundamentally changes the metaphysics of karma. If your god didn't care about right and wrong, would you still be good? What I hope this exposition shows is that the question is not a valid one. Our gods care about so-called right and wrong, about anything at all, only to the extent that we do. And this is also true for Buddhists. The non-anthropomorphic supernatural moral force (i.e. moral god) of Buddhism, karma, is primarily designed to ensure that Buddhists conform to Buddhist norms. Buddhist morality is incompletely yoked to the pursuit of altered states of consciousness that are transformative for the reason that a guilty conscience is a source of distraction. Concern with conformity to morality and etiquette--the latter dominates the life of most monastics for example--is at least equally important in most Buddhist traditions. Metzinger, Thomas. (2010). The Ego Tunnel: The Science of the Mind and the Myth of the Self. Basic Books. Witzel, E. J. Michael. (2012) The Origins of the World's Mythologies. Oxford University Press.